The X-MEM is the state of the art of the memory expansions. It embeds up to 512K RAM, 512K of flash ROM and allows to replace the Lower ROM to use different Firmwares and BASIC. The X-MEM is MX4 formatted (8x5cm), that allows to be directly plugged to the MotherX4. You can obviously use the X-MEM on the CPC expansion port by using a 50 pins ribbon cable. 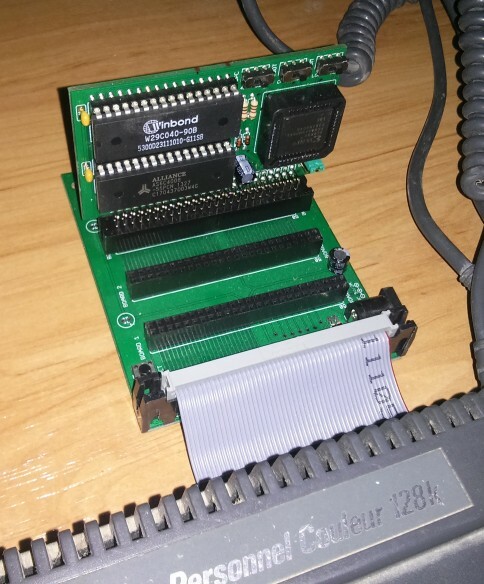 The RAM part supports all* the PAL modes and can be used indifferently on CPC 464, 664 or 6128 to push them at the same level of compatibility.